part= a further 20% of light in environment. The diagram expresses temperatures from outside to inside by underlining difference (15° approximately) both during summer and winter time. The example is referred to cold season, in this case window’s insulation guarantees a great energetic conservation and conserving costs. Cerniera superiore con chiusura angolare realizzata con incontro e nottolino a fungo regolabile. Chiusura laterale a comparsa con incontro telaio e nottolino a fungo regolabile. Incontro antieffrazione presente sulla ferramenta anta secondaria. Movimentazione catenaccio a scomparsa presente sulla ferramenta dell’anta secondaria. Chiusura inferiore con incontri antieffrazione personalizzati e nottolino a fungo regolabile. Cremonsese movimentazione ferramenta anta principale con dispositivo falsa manovra solleva anta. Incontro superiore e nottolino a fungo regolabile. 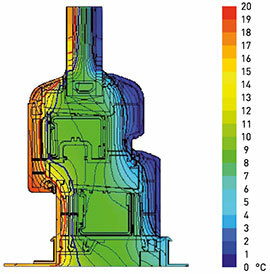 Incontro superiore con sistema di microventilazione. 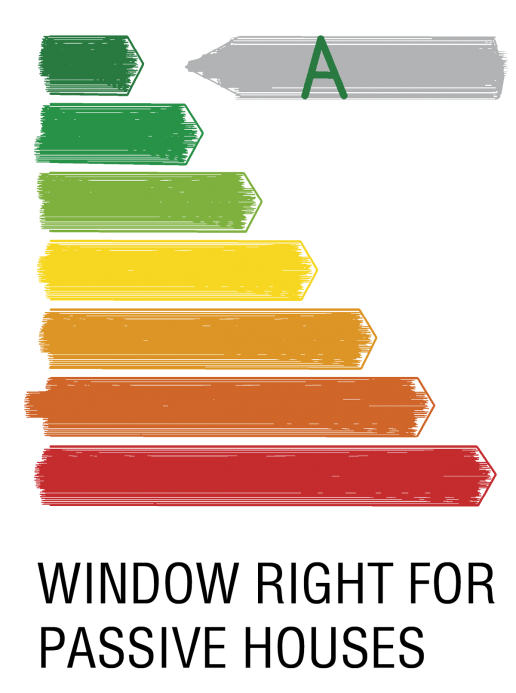 It’s the window line of A Class perfect for restoration because allow to improve thermal and acoustic insulation and to reduce energetic costs by maintaining little profiles that don’t obstruct light. A wide range of opening typologies are available, adaptable in dimensions, they allow to install them in architectural space reduced; linear design could adapted for classic and modern structures. Profiles windows would be: Type 70/78. Profiles of these windows would have certified quality according to UNI EN ISON 9001 regulation. 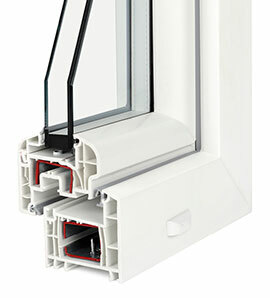 Profiles of these windows would have certified quality according to UNI EN ISON 9001 regulation. This certification would be presented with security files of materials used that certify the presence of not-toxic element. Profiles would have 5 insulation chambers, in transversal sense of profile, with frame/profile minimum thickness of 70 mm. Profile/frame would have height of 20 mm. Profile’s external wall would have a thickness of 3 mm. Accommodation chamber of reinforcement would be of dimensions that allow the insertion of reinforcement of length 35 mm. 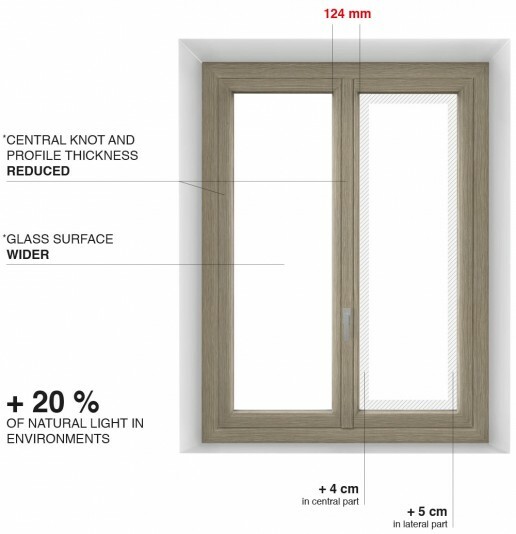 Profiles choice and connection of elements with reinforces, that characterized the window, would be calculated in order to guarantee absorption of efforts derived from external factors (wind, mechanical actions, etc.) and internal (weight, etc.) and loading of bearing structures that a window is characterized (rules of reference: DIN 1055, part 4; DIN 1055 paper 3; DIN 18056). Window’s profiles would be calculated accordingly to DIN 18056. Maximum arrow of bearing elements, especially for uprights and transversal couldn’t be more than 1/300 of profile’s length. For glasses with the use of insulation double-glazing, the maximum arrow acceptable is 8 mm, even if there are restrictions by glass constructor. For the application of transversal and upright would be used a not torsion system documented, in order to avoid profile rotation under pressure of glass or pressure made by utilizer. Internal reinforcement would be realized with a thickness minimum 15710 with form and length compatible with internal section of reinforced chamber of PVC profile. Profiles reinforces have to be galvanized steel, in order to preserve them from corrosion. For internal reinforces galvanization stratum has to be minimum 275 g/square metre. In external reinforces has to be zinced also in cut section. Reinforcements, plates or steel profiles used as anchorage or under construction with thickness over 4 mm have to be zinced in hot temperature. Probable soldering cords would be preserved by corrosion with a zinc spray in a cold temperature (DIN 18630). 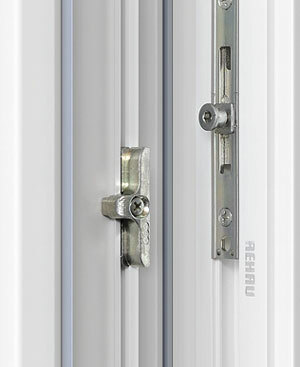 These reinforcements would be anchored solidly to PVC profile with zinced screws from a distance of 50 mm from internal angle of profile/frame and not superior to 500 mm (white profiles) and 250 mm (covered profiles). Windows with particular height form would be reinforced by satisfying CN regulation that imposes maximum arrow acceptable not superior to 1/500 of length in order to avoid glass rupture, and also air and water infiltrations. Drainages in profiles and compensation slots of vapour, pressure and profile condensation unloading have to be made in conformity to technical directives of builder’s work of profiles used in window realisation. Drainage in frame will be made towards outside window through a different chamber by that of reinforcements of PVC profiles. It’s an obligation made compensation slots of vapour pressure in profile. They will be created through a different chamber of that of reinforcements of PVC profiles. Outside frame, slots, would be protected by a direct wind action through special drainage caps. Glasses stop, cut at 45° on angles, will have a square or shaped form, according to architectural requests of D.L.L. and would have an extruder gasket. Glass stop thickness will choose considering glass thickness and glass gasket in conformity to how is indicated by supplier’s glass directive of PVC profiles. 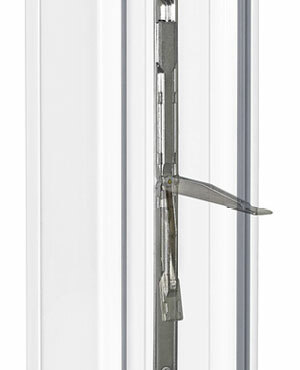 Glass stop profiles will be snap type through a security coupler in order that bascule opening or for wind push glass stop couldn’t give out. Holding system to atmospheric agents would be with double gasket. Would be used already weldable and integrated gaskets with principal profiles or the insertion of them after soldering of frame/profile. Gaskets of profile and glass stop, in a direct contact with atmospheric agents have to be built with materials qualified to release that function by maintaining unchanged for years their characteristics. They have to have a high degree of tolerability with elements that are assembled in conformity to DIN 52452 regulation. They could be installed only EPDM gaskets, silicone, RAU-PREN or equivalent. Material that characterized gaskets has to obey to that expressed by RAL GZ 716/1 regulation, paragraph II. Hardware and accessories will be: AGB. 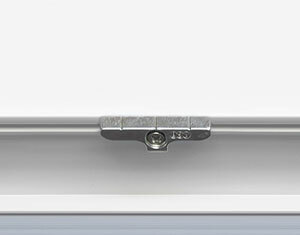 Hardware and accessories would be put on window in conformity to that established by DIN 18357 regulation. 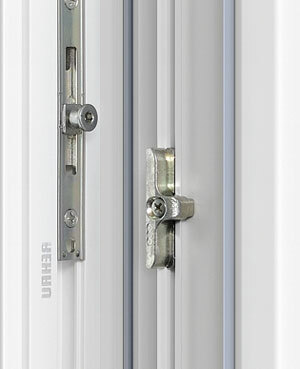 Hardware and accessories would have form and closing efficiency compatible with the same profile. They have to satisfy controls established by EN 107 regulation. The EURO groove for hardware accommodation has to have an hardware axis of 13 mm in order to allow not intrusion of accessories assemblage. 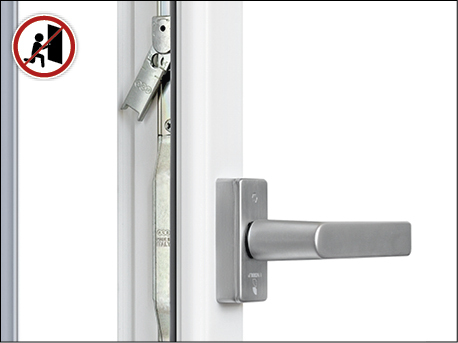 The handle is Secustik: characterized by a locking mechanism that obstruct the action of the same from outside: junction element between pick and full square serves as a “mechanical diode” by allowing pick to action normally from inside but by blocking it if someone tries to manipulate it from outside. 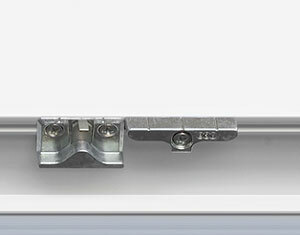 Angle hardware and hinge 4 x (min.22mm) choose length adaptable on the basis of profile used). Steel , pressure die-cast zinc (zama), steel for angle movement springs and plastic material of high quality for different trinkets. All metallic parts are galvanized and passivated according to DIN 50941 regulation. All passivated silver components are equipped with a wax stratum of high quality that increases anti-corrosion protection and also fluidity of single parts. chromic passivation with silicone particles dwarf hermetic active) for reaching anti-corrosive standard that exceed requisites asked by UNI EN 13126 and UNI EN 1670 regulations. Laboratory tests made by specialized institutes about searches on protection of materials, confirm excellent resistance results in salt pan fog: till 2000 hours, according to UNI EN ISO 9927 regulation, without minimum attachment on surface by pink rust. Control is made according to DIN 50021 regulation (test in salt pan fog). Anti-corrosion protection of AGB surface coincides as that written by RAL. Application field for windows and French windows. 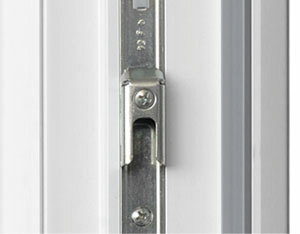 Maximum weight for door in function of hinges. Scissor and accessories used max 130 kg with angle hinge and supplementary scissor. 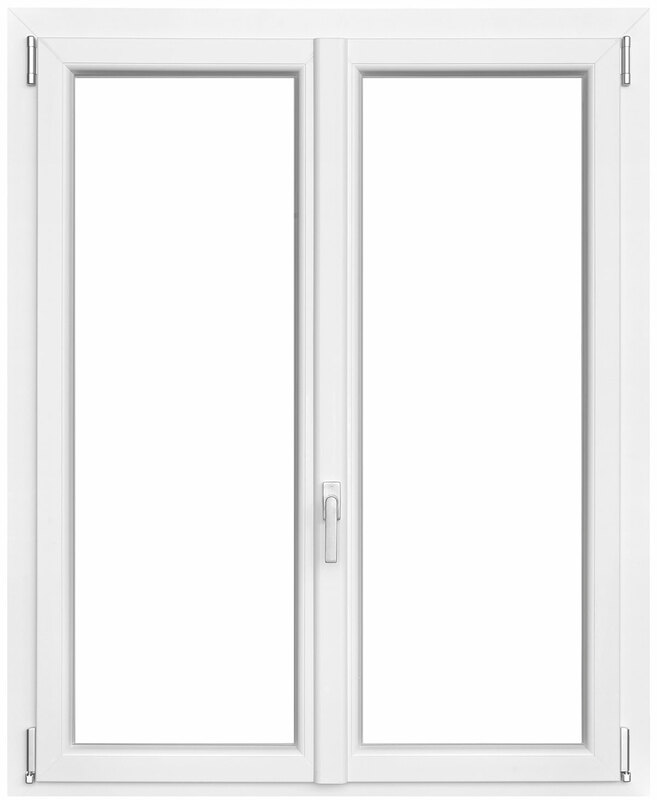 On windows and French windows curved and trapezium, also for windows with a slide-away mechanisms, door can’t exceed weight 80 kg, by using hinges and scissor supports of a major capacity. 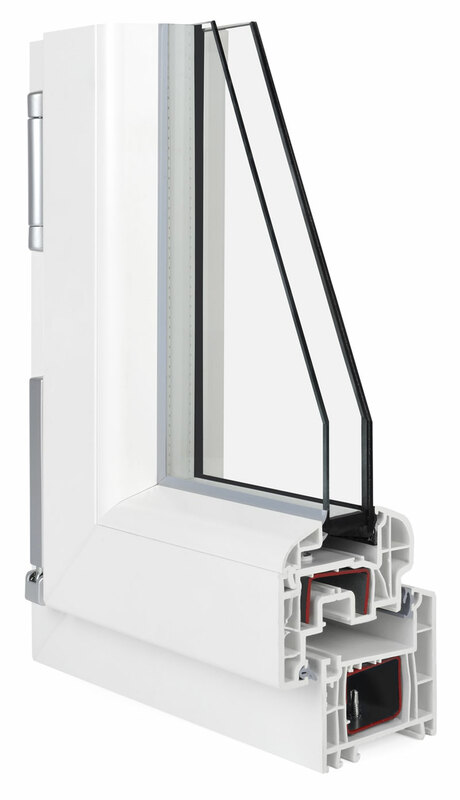 Windows and French windows with double-glazing 4BE-18-6/7 with argon gas and new thermal spacer. It’s available in 2 colors RAL 7035 clear grey (for clear internal colors) and RAL 9004 (black, for dark internal colors). Glasses works (simple glasses, insulation double-glazing etc.) would be made in conformity to that established by DIN 18361, DIN 18545 regulations. External glass gasket is replaced by band in foam used for fixing glass and profile. It adheres in a hard way even if there are extreme climatic conditions, counterbalancing thermal dilatations. External glass gasket is substituted by tape in foam used for fixing glass and profile. It adheres hardly also in extreme climatic conditions, counterbalancing thermal dilatations. TAPE 6262 is a biadhesive tape in foam PE, it has been projected expressly for the application of window glass. TAPE 7076 is a tape in foam acrylic. It is characterized by an acrylic system with high performance and for its unique components combines a good resistance to temperature with a special resistance to cold push till -40 °C. Expended acrylic nucleus viscoelastic counterbalances different thermal dilatation of glued parts. 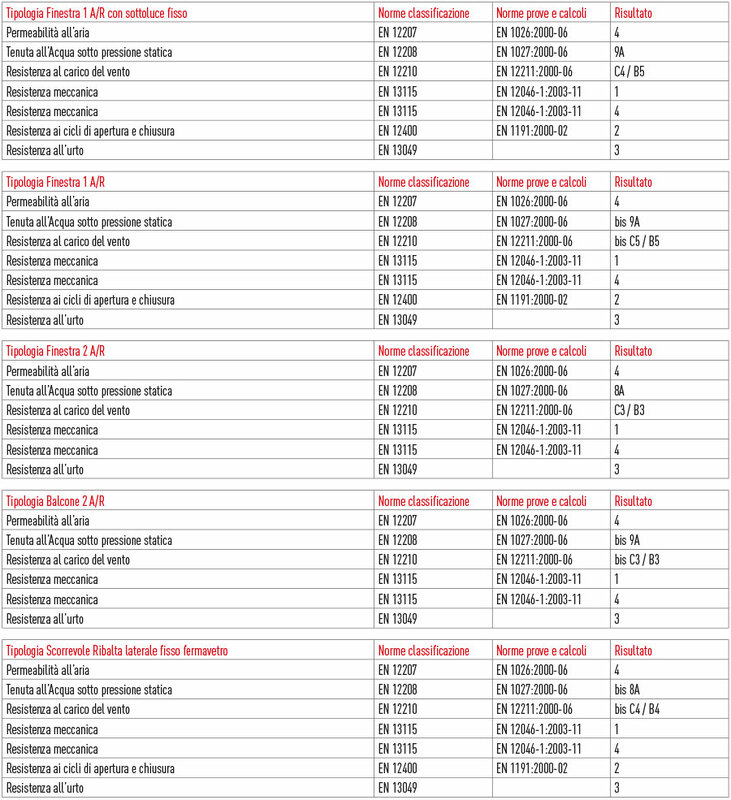 UNI EN 12608 regulation classifies PVC profiles for climatic areas. Regulation refers only to profile color white or cream with smooth surface; it doesn’t apply to covered profiles. According to that regulation, European territory is subdivided into 2 areas as we can rean in the list. 2. medium temperature of the hottest mouth major or equal to 22°C. In some geographic areas of our country there are radiations less than 5Gj/m2 but always with temperature more than 22°C. By consequence all Italian territory is classified S area. PVC profiles used by I NOBILI for profile’s assembly are extruded with molecules type S, then they are qualified for Italian climatic conditions.